STEMFest is a collection of conferences and events exploring social, industry and economic development throughout the world of STEM education and innovation. On Wednesday, November 7, we focus on the business of STEM and all it can inspire. Approximately 200 senior decision-makers will come together for an opportunity to learn, collaborate, connect, and do business. 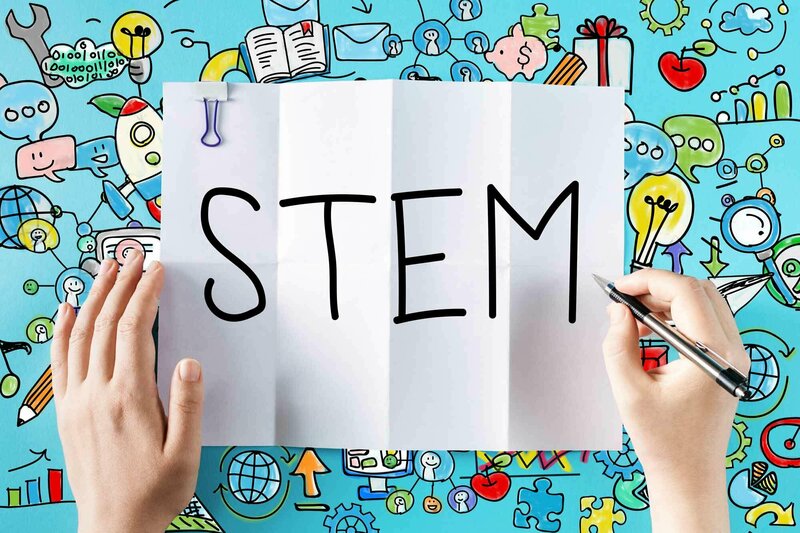 STEMFest is driven by a myriad of organizations from industry, post-secondary, not-for-profit associations, and government, working together to promote the role STEM plays in the evolving worlds of education, innovation, trade, industry, and community. Join us at STEMFest 2018. This is an opportunity you don’t want to miss. All workshops will be developed in conjunction with Nova Scotia Department of Education and Early Childhood Development consultants and will be facilitated by industry leaders, academics in related fields, and educators. We are thrilled to announce one of the workshops will build towards the creation of a collective art installation piece to be housed at the Halifax Convention Centre as a legacy feature. STEMFest 2018 will increase awareness of and spark curiosity in STEAM-related careers, particularly those that are unique to the Nova Scotia context. Teachers accompanying their grade 7 and 8 students, will participate in relevant professional learning. The workshop will be presented by Jay Ingram and Mary Anne Moser widely known as pioneers of science communication workshops. 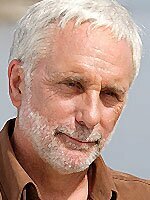 Jay Ingram was co-host of Daily Planet, the hour-long prime-time science program on Discovery Channel, for 16 years and helped launch and design the show. Prior to that he hosted CBC’s Quirks and Quarks for 12 years, freelanced for CBC’s Morningside, and hosted two CBC radio documentary series. He was contributing editor to Owl magazine for five years, he wrote a weekly science column in The Toronto Star for 12 years, and currently writes a column for Canadian Wildlife. Mary Anne Moser has built a career where art, culture and science intersect. She has worked as a journalist, an award-winning designer and was the founding editor of the Banff Centre Press. 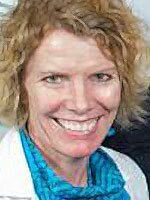 She started the Banff Science Communications Program in 2005, Canada’s Iron Science Teacher competition in 2007 and was member of the start-up steering committee for the Science Media Centre of Canada in 2010. She is the editor of two books on science in society: Immersed in Technology (MIT Press 1995) and Science, She Loves Me (Banff Centre Press 2011). Communicating science couldn't be more important—and it's still hard to do well. Why not learn from the best? The need is greater than ever to engage mainstream audiences in science. Goodness knows, the science community has been aware of this for decades. Why is it so hard to do? Beakerhead science communications programs help you bust through real or perceived barriers that may be keeping your science stories secret! Whether you are interested in science or communications, this day-long experience will open your eyes to ways to engage new audiences. We are as empirical about communications as we are about science – with a huge dose of creativity added to the mix. 9:00 am – 9:30 pm Audience First This first hour is our chance to establish the direction of the day. We will start this session with some warm-up activities that help students and researchers to reset their communications dial from “science first” to audience first.” It will soon become clear that audiences bring their own ideas to every topic, even if uninformed. We will spend the first 45 minutes exploring how to impress and/or intrigue a general audience. We will look at how to understand different audiences, how cultural cognition works (we’ll explain! ), and what this means for researchers and how they communicate about their work. For the rest of the day, we’ll get hands-on to work on specific skills and tools that will reset that dial, and make emerging researchers stand out as a cut above at science communications. 9:30 am – 10:00 am Getting Creative People are busy and it’s a noisy world, filled with delightful distractions. Why should anyone care about your work? The best way to start is to get creative. We’ll dive into some group work that will get the ideas flowing. 10:30 – 12:00 pm Build a Better Mousetrap Creativity is at the core of engaging audiences in science and engineering and yet there are so few opportunities to see exactly how this applies to science and science communications. Get ready to roll up your sleeves and see how design thinking can not only make you a better communicator but a better scientist as well. This session will have you work on collaborative, creative, courageous projects that help you zag when others zig. 1:00 – 3:00 pm Personalizing the Impersonal Science communication often focuses on getting the science right, and that’s essential, but a great story also includes people, especially you. This session asks you to ask yourself, why does your research matter to you? Why should it matter to anyone else? In this session we’re asking you to write 75 words that would be an intro to a longer story, preferably about science or your own research. But somewhere in in these 75 words you have to appear. This is a wonderful way to understand in a hands-on way the difference between talking to colleagues in your science circles and talking to pretty much anyone else. It can also set you up for writing your next blog or op-ed piece! 1:00 – 1:30 pm Working individually on your 75-word opening 1:30 – 2:00 pm Working groups of 5 to read and discuss (5 minutes each) 2:00 – 2:30 pm Discussion: What have we learned? 2:30 – 2:45 pm Q&A 3:00 – 5:00 pm Working with the Media What do you do when media calls? Reporters are working with very different constraints than students or researchers. They have deadlines and editors that have an enormous influence on who they call and what gets reported. In this session, you’d get an overview of the do and don’t so that you are prepared when the media calls. And if they don’t you’ll have a whole new understanding of how you could take this into your own hands. Prices are plus tax and applicable service fees. Attendees can receive refunds up to 30 days prior to the event date. Scheduled for the evening of Tuesday, November 6 at the Halifax Convention Centre, science slam is a scientific speaker session where presenters discuss their own scientific research work in a five minute period - in front of a non-expert audience. This event is open to the general public—we encourage all to attend. The focus lies on knowledge translation that teaches current science to a diverse audience in an entertaining way. Presentations will be judged by the audience. This event will showcase scientists, researchers, and students as they battle to communicate science. Presenters will be selected from all walks of science. Judges will be a mashup of scientists from Nova Scotia’s top science institutions and volunteers from the general public. Contestants can present on any science topic, but cannot use a projector or slides. They are judged not on their data and methods, but on their ability to communicate science in an engaging, entertaining, and concise way. This event will combine science communication and audience participation in an effective and engaging way. While there is no cost to attend the event, space is limited and only those with tickets will be admitted. The STEMFest Engineering Olympics, presented by Engineers Nova Scotia, is an interactive engineering event for students in grades 4 to 9. Students are given a series of problem-solving challenges that demonstrate the fun side of engineering, and allow students to see first-hand how this field impacts our everyday lives. The STEMFest Engineering Olympics provides students the opportunity to cover many areas of engineering study while learning to work and interact within a group. Teams will use their skills and innovative ideas to develop creative solutions to various challenges throughout the afternoon. All challenges have been coordinated by Engineers Nova Scotia. Each team consists of four to six students and one coach (teacher/chaperone/parent). Each team must have a coach who supports them at the event. Participants will register in divisions I or II, depending on their grade. Grades 4-6 students will be in division I and grades 7-9 students will be in division II. Teams will be given a score for each challenge. Each division will have bronze, silver, and gold recognition. Spectators are welcome. Bring someone to watch and cheer for your team. Space is limited, and is available on a first come, first served bases. Cost to register is $20 per team. If cost is an issue please . Can we Live 200 Years? That question would have made no sense 25 years ago but today is different. The extraordinary and continuing rise in human life expectancy has scientists thinking, for the first time really, of ways to push through the boundaries to a human life. It is a crucial time for understanding aging, and perhaps overcoming it. Halifax producer and artist, Jo Napier has created a series of theatrical presentations which give us a glimpse of women’s contributions in Science, Technology, Engineering and Math throughout history. “An Interview with Marie Curie” is the first in her series of Great Women of STEM dramatizations. This short film tells the story of Marie Curie’s life and contributions in a dramatized interview with well known CBC broadcaster, Norma Lee MacLeod. Who will build the amazing future of our human race? That question sparks a giant-screen adventure unlike any other in Dream Big: Engineering Our World, an epically fun tour of inspiration through the visionary advances made by yesterday’s, today’s—and most thrillingly of all, tomorrow’s—engineers. Engineering: upon first consideration, it might not seem the stuff of grand cinematic adventure. But could engineering secretly be an exciting, creative, heroic realm where the optimists of today are creating the life-saving, world-altering marvels that will make for a safer, more connected, more equal and even more awe-inspiring tomorrow? Narrated by Academy Award® winner Jeff Bridges, this is the story told by Dream Big, marking the first film for giant-screen theatres to answer the call of the STEM (Science, Technology, Engineering, Math) initiative—which offers a fresh perspective on engineering and aims to inspire kids of diverse backgrounds to become the innovators, educators and leaders who will improve the lives of people across our entire planet throughout the 21st Century. Some parasites can control their hosts behaviour. This take-over is best understood in insects (the real zombies). In these systems, parasites typically exploit communication links between the body and brain to produce behaviour favourable to the parasite. The 2018 Dan MacLennan Memorial Lecture in Astronomy will be the fourth in the annual series of lectures that has featured Nobel prize winners. This lecture is endowed by the family of the late Dan MacLennan, a life-long learner and one-time Saint Mary's student. This schedule is always being updated; check back often. Our model for partnership is as unique as the program, and our goal is to connect with organizations and custom design an approach to sponsorship that puts your organization in front of the most relevant of our audiences. We would welcome a chance to talk about the program and a possible fit for your organization. Call for Volunteers is now CLOSED. We are excited about STEMFest 2018 and all the events that will make up this week-long event. We are delighted to announce we have achieved our requirements for volunteers. We hope you will plan to attend the events.